Technical Car Experts Answers everything you need: Fuel pump Wiring diagram for 1998 Chevy Blazer? Fuel pump Wiring diagram for 1998 Chevy Blazer? I NEED FUEL PUMP WIRING DIAGRAM FOR MY CHEVY BLAZER .ITS 1998 MODEL. 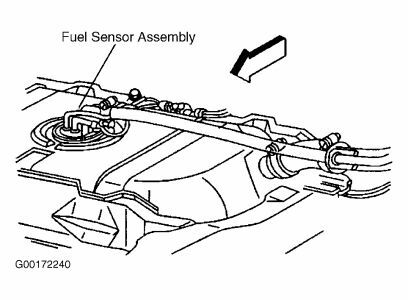 THE FUEL PUMP RELAY,THE FUEL SENSOR,THE FUEL SENDING UNIT,ALSO THE ECMB FUSE FOR FUEL PUMP. ITS A 20AMP FUSE.SHOW ME THE WIRING FOR THIS COMPONENTS. Its a complete wiring diagram. But the diagram is huge. I am giving you the same diagram twice.The same diagram is provided twice,because if first image is not clear,you can see second image. make sure you have, oil pressure , fuel pressure between 60 to 66 psi(nothing less, when cranking ) also check the fuel pump relay at the electrical center under the hood. Labels: Chevy fuel pump wiring diagram, Fuel pump Wiring diagram for 1998 Chevy Blazer, wiring diagram for Chevy blazer fuel pump.